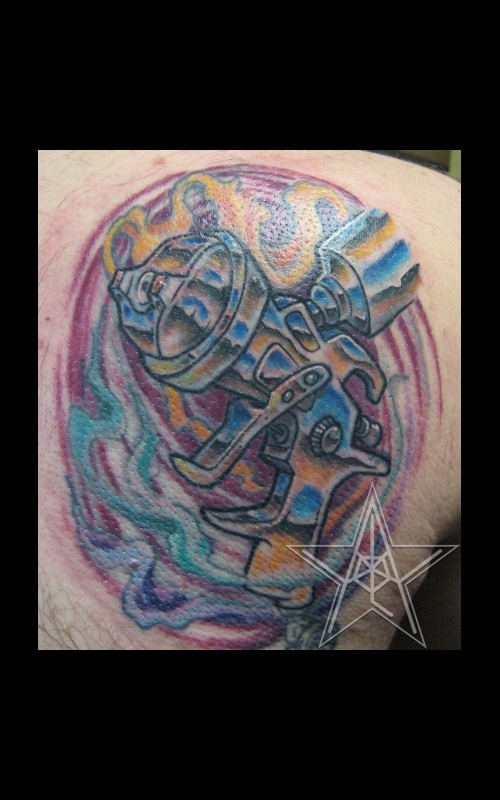 Swirling Autopaint Spray Gun color tattoo. 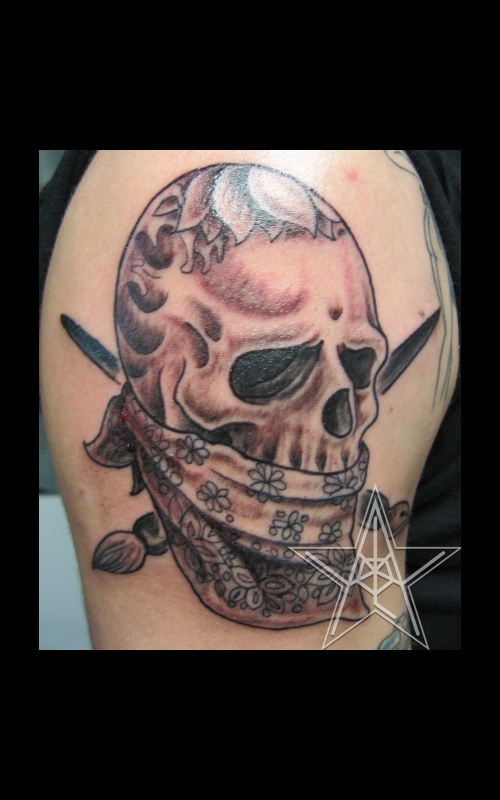 Renegade Artist Black and Grey Skull with bandana and brushes tattoo. Filigree Creation Color paint brush and filigree tattoo. 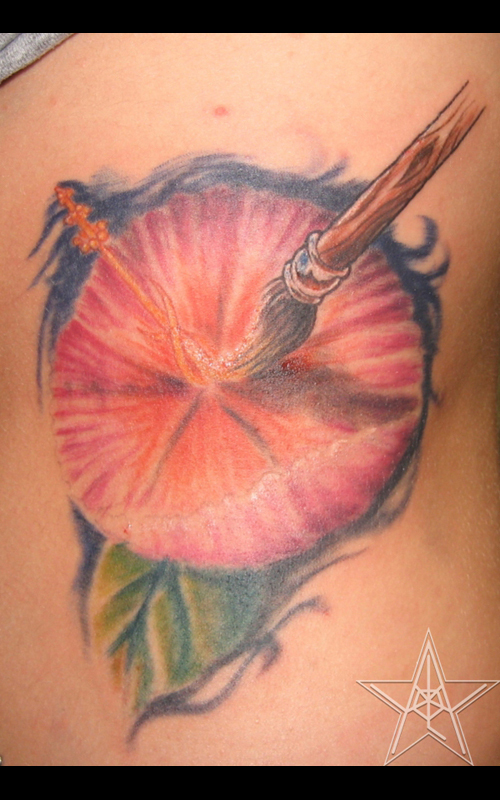 Painted Hibiscus Tattoo of a floer being painted. 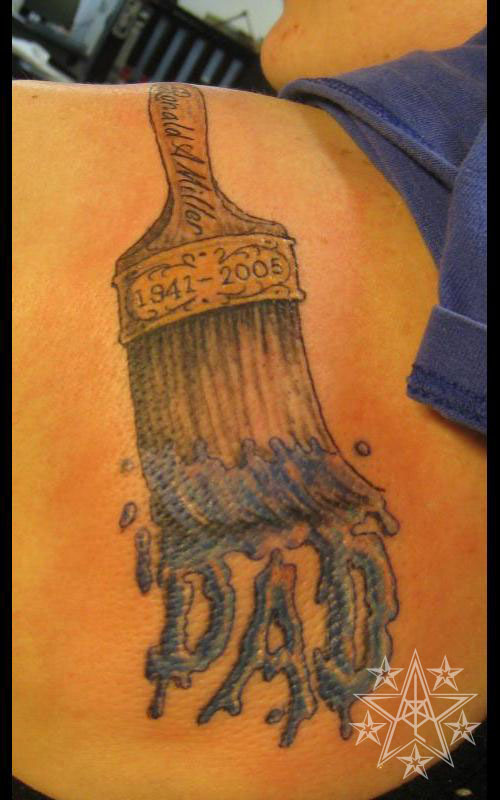 Dad was a painter Paint brush memorial tattoo. Art tattoos by Ray Reasoner Jr.
Art Related: Now many artists can't help but look for recognition and one way that a lot of artists express their love for art is to get their favorite tools tattooed onto them. Paint brushes and splashes of paint, pencils, spray cans, or even tattoo machines are the topics for these tattoos. Excerpt from Terms Section of the site. Portfolios from the rest of the crew.